Camp H is a design and building camp for girls ages 9-12 that’s run through REALM Charter School in Berkeley, California. Founded by Emily Pilloton, the curriculum includes Science, Technology, Math, Arts, and Engineering (STEAM) principles to empower young minds and connect them with female professionals in the community. Pilloton began using building skills as a teaching method when other girls’ camp themes such as “what it means to be a sister” failed to engage her students. In order to help the girls assert themselves and develop leadership and critical thinking skills, she took to the tool box. She was surprised how enthusiastic and confident the girls became when working on their various projects. “I’m a 10-year-old-girl, and I know how to fuse metal. What can’t I do?” one of her students proclaimed. 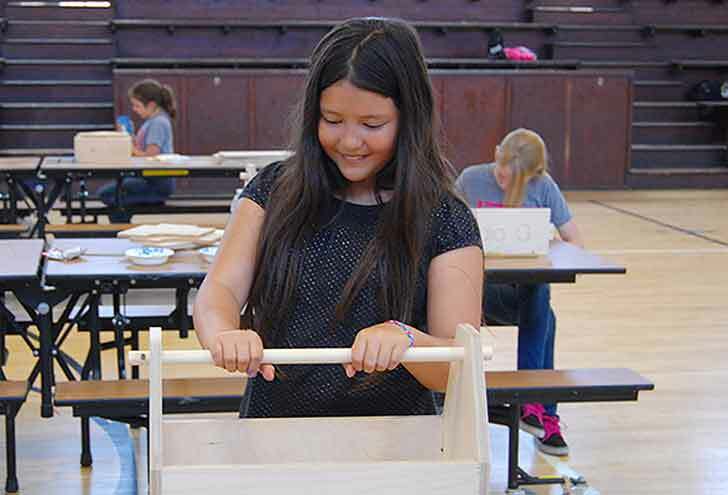 At an age when boys usually rush headlong into shop class, most girls tend to hang back and wait for an overall outline of their task. This is generally the time when girls lose interest in most STEAM subjects. Although Pilloton would like to shy away from broad generalizations about gender, she saw benefits to creating an all-girl environment where girls could be guided by older female experts in their fields. 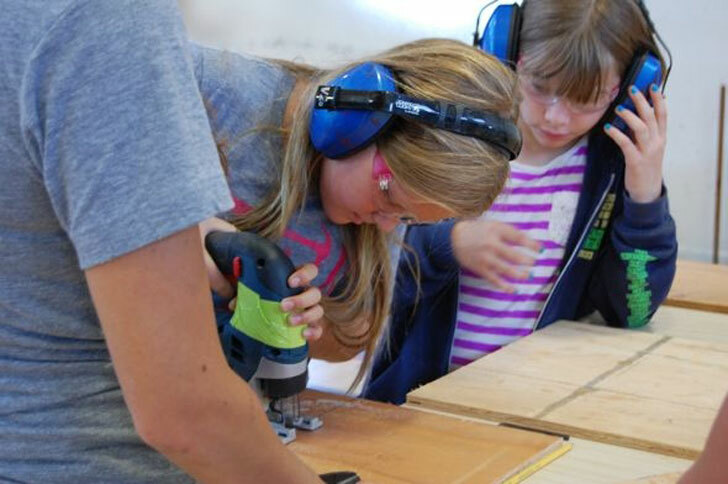 You can follow Pilloton’s journey of her first adventures in teaching girls to use power tools in the documentary, If You Build It playing at the IFC Center in New York and soon in theaters across the country. Registration for the Spring 2014 after-school workshops are now open, and lesson plans can be viewed at Camp H’s official website. 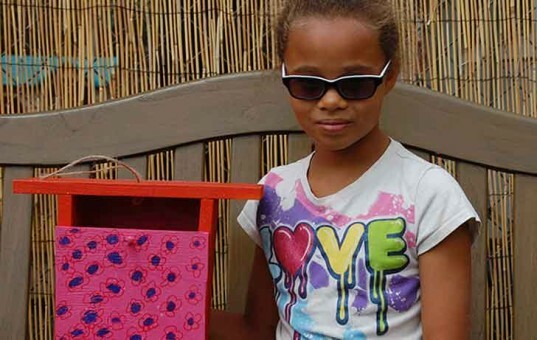 Camp H is a design and building camp for girls ages 9-12 that's run through REALM Charter School in Berkeley, California. Founded by Emily Pilloton, the curriculum includes Science, Technology, Math, Arts, and Engineering (STEAM) principles to empower young minds and connect them with female professionals in the community. Pilloton began using building skills as a teaching method when other girls' camp themes such as "what it means to be a sister" failed to engage her students. In order to help the girls assert themselves and develop leadership and critical thinking skills, she took to the tool box. She was surprised how enthusiastic and confident the girls became when working on their various projects. "I'm a 10-year-old-girl, and I know how to fuse metal. What can't I do?" one of her students proclaimed.